The socialization they had with their littermates, and now with you, is a huge part of initial training, but they are learning from each experience they have – good and bad. Most dog experts agree that 8-10 weeks of age, puppies gain the capacity for cognitive learning. Each puppy is different and their attention spans are short, but you can start with very basic and brief training around this age. House training is often first on the puppy training agenda. Whatever your preferred method is, house training is about patience, consistency and positive reinforcement which can begin around 8 weeks old. It is inevitable that puppies will have accidents in the home, but sticking to a schedule can also be helpful. 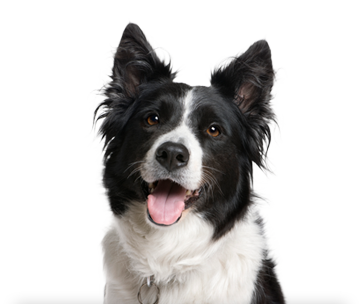 It's usually between 12–16 weeks when a puppy learns to really gain control of their bladder and bowel movements. It takes most puppies 4-6 months to be fully house trained. Other items on the puppy training agenda may include the 'come' command and discouraging nipping or biting. Puppies are notorious for biting with their needle-sharp teeth, but a good rule of thumb is to let out a yelp (as if in pain) if they're biting you. Just like when they play-bit their brothers and sisters, yelping is an indicator of pain, and they usually take the hint – even if it is just for a short moment (remember they do have short attention spans)! Another technique is to replace your hand (or whatever they shouldn't be chewing on) for a toy and then reward them for the correct behavior. Teaching the 'come' command is a crucial one for puppies to learn as it is not only useful, but could potentially save them in a dangerous situation. 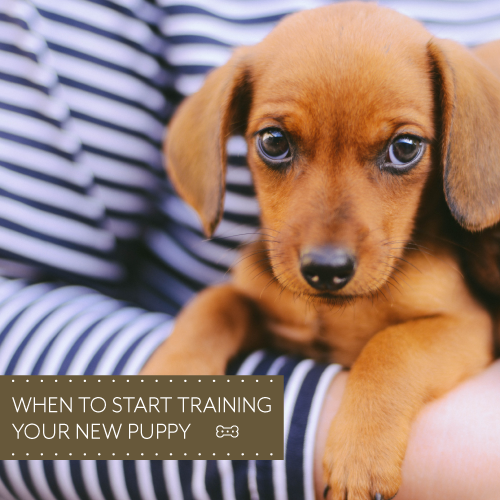 All in all, basic principles to remember when you begin training your new puppy are patience, routine and reward with positive reinforcement. Once your puppy is old enough, bring them to Best Friends for obedience training with our certified dog trainers! Comment below with your best puppy training trips to new puppy parents.